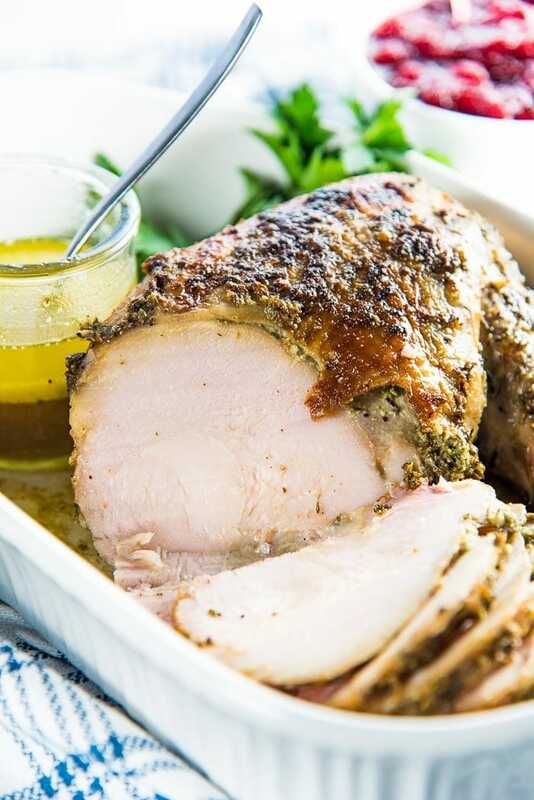 Guaranteed juicy, tender, succulent and flavorful results – this Slow Cooker Turkey Breast Roast is easy, and is a great small dish alternative to a whole turkey for Thanksgiving, Christmas or any roast dinner! 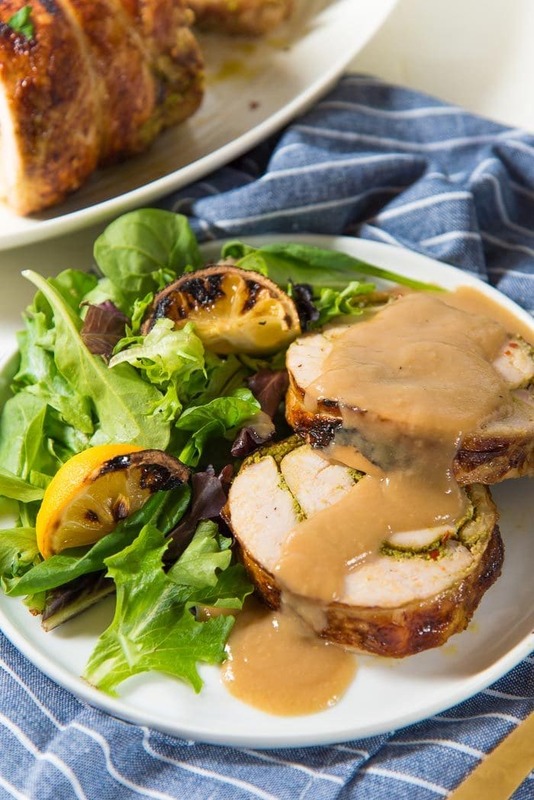 Flavored with a sage garlic butter paste, this turkey breast roast is hard to mess up, and also gives you a lot of pan drippings to make a tasty, buttery gravy! This slow cooker version also guarantees amazingly easy, foolproof and juicy results, and I’ll be sharing with you all my tips so that you too can make perfect slow cooker turkey breast for Thanksgiving, or any other time of the year! 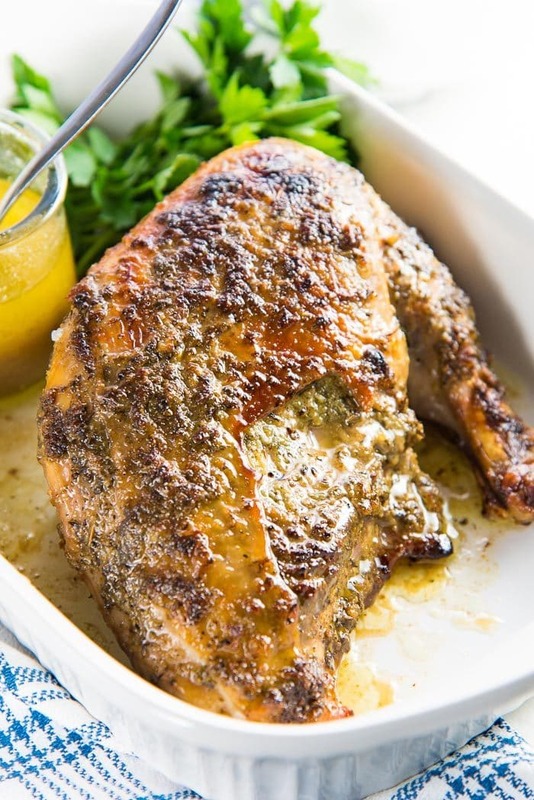 Here, I’ve made a Sage Garlic Butter Turkey Breast, but you’re welcome to use any flavor mix you like – you can use any spice/herb mix that I’ve used in my previous turkey recipes, or make your own. 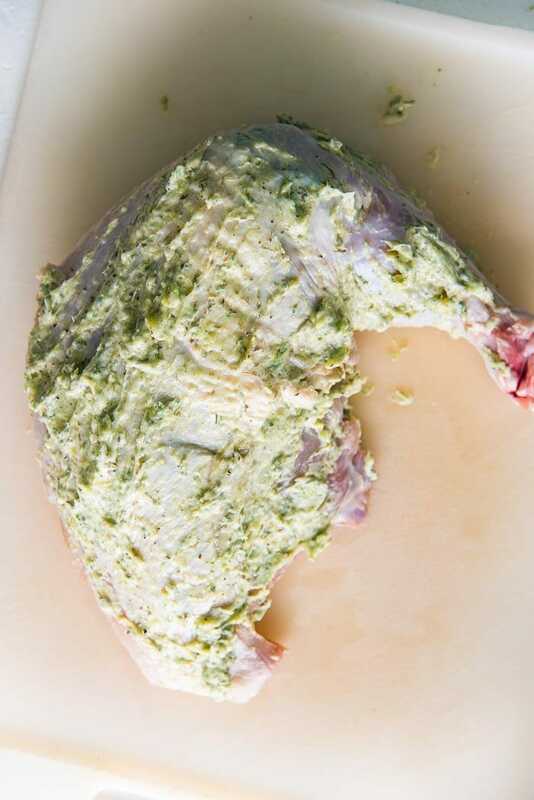 This sage garlic butter paste is incredibly flavorful and perfectly complements this slow cooker turkey breast. It has that earthy taste of sage, a little sweetness from shallots, and plenty of garlic and butter! 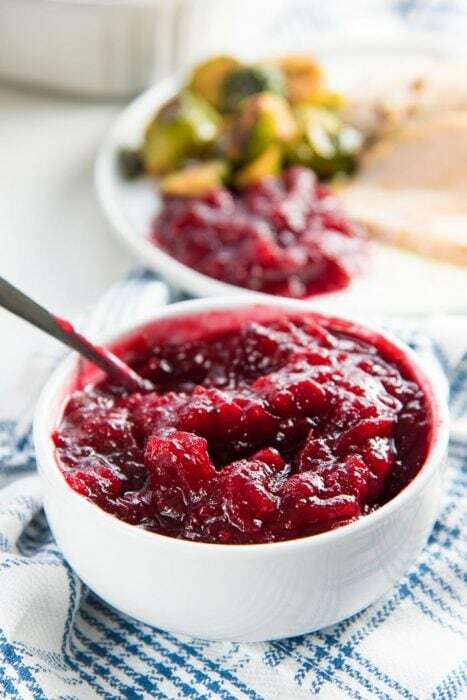 The butter is tucked under the skin of the turkey breast and spread all over the roast as well, which helps infuse the turkey meat with all of its flavor as the turkey breast cooks. Since the turkey breast is cooked very slowly here, it guarantees tender, succulent, juicy results. No dried out, overcooked, bland turkey breast with this recipe! 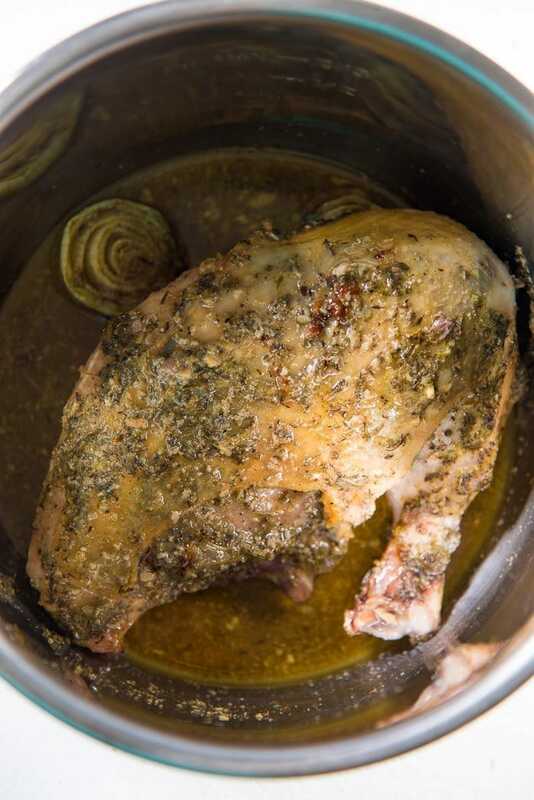 Just like with the oven roasted turkey breast, some of the same techniques apply to this sage garlic butter slow cooker turkey breast to make sure the meat stays moist and delicious throughout the cooking process. Letting the turkey breast marinate for a day (or even two). If you’re using either a dry rub or a wet rub, you can apply this the day before as well. I prefer to just season the meat with salt, on both sides, including under the skin, and let it sit in the fridge until I’m ready to slow cook the turkey – like a dry brine. Low and slow cooking method. Since I use the LOW SETTING on the slow cooker for this recipe, the turkey breast is cooked slowly at a low temperature as well, which largely eliminates any overcooking or drying out. This gives me more control over the cooking process, and you can remove the turkey breast when the internal temperature registers 160°F (the internal temp. will continue to rise even after the meat is removed from the slow cooker). Adding liquid or fat to the pan. A constant supply of moisture or fat as the turkey breast cooks, will also make sure the turkey breast stays super juicy and tender. This is an advantage with the slow cooker, because once you add liquid, it doesn’t evaporate very much (if at all), compared to an oven roasted turkey breast. 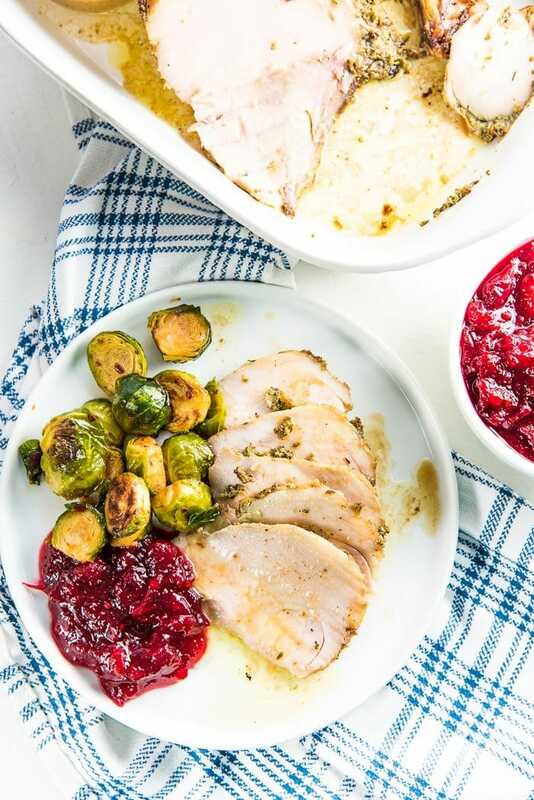 Plus, since this garlic butter slow cooker turkey breast is SLATHERED in butter, I don’t need to add ANY extra liquid because the butter insulates and flavors the roast, and also keeps the turkey juicy. I cannot stress enough, how important a good cooking thermometer is for a perfectly cooked turkey roast. This is true for this turkey breast roast, turkey roulade roasts, or even a full turkey roast as well. This really is a must, and an inexpensive and simple investment for guaranteed results. A cooking thermometer will allow you to check the internal temperature of the roast as it’s cooking. Turkey breast dries out quickly as it goes past 165°F. With a temperature probe, you will know precisely when to remove the meat from the slow cooker, eliminating over-cooking and the meat drying out. This is true for any roast. ALWAYS insert the meat thermometer into the thickest part of the roast to get an accurate reading. If you’re using an instant read thermometer, you will usually get the reading within a couple of seconds. Other types of thermometers may need a few seconds to register the right temperature. Allow time for the thermometer to reach the right temperature. I always stop cooking the slow cooker turkey breast when the internal temperature hits 160°F. 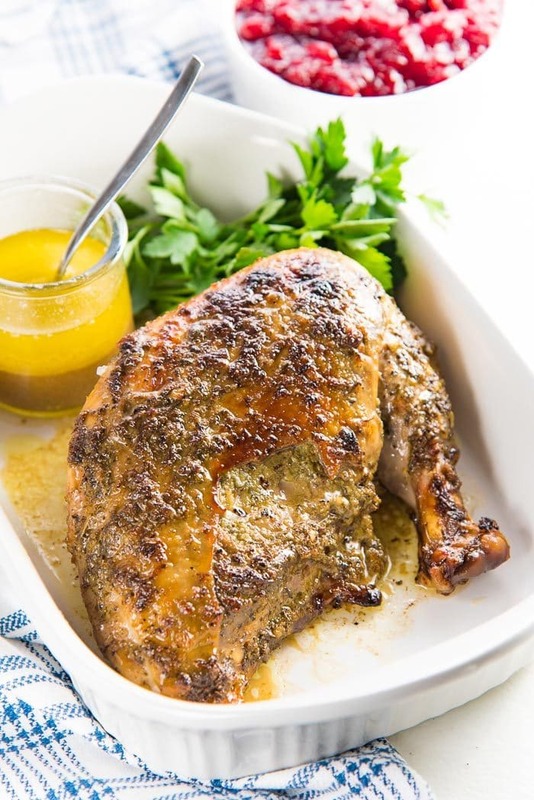 The turkey breast requires 20 seconds at this temperature to reach the food safety mark, and by keeping the turkey breast INSIDE the slow cooker, covered, for an extra 30 seconds or so, the internal temperature will continue to rise, making the meat perfectly food safe, while also ensuring tender and juicy results! Once it’s out of the slow cooker, I cover the turkey roast with foil and let it cool down a little BEFORE caramelizing the skin under the broiler. Just like I did for my Cajun roasted turkey breast, I used a bone-in turkey breast with the wing drumette attached. This cut is also called a Frenched breast cut. Here are some other cuts that you can use for this slow cooker turkey breast. 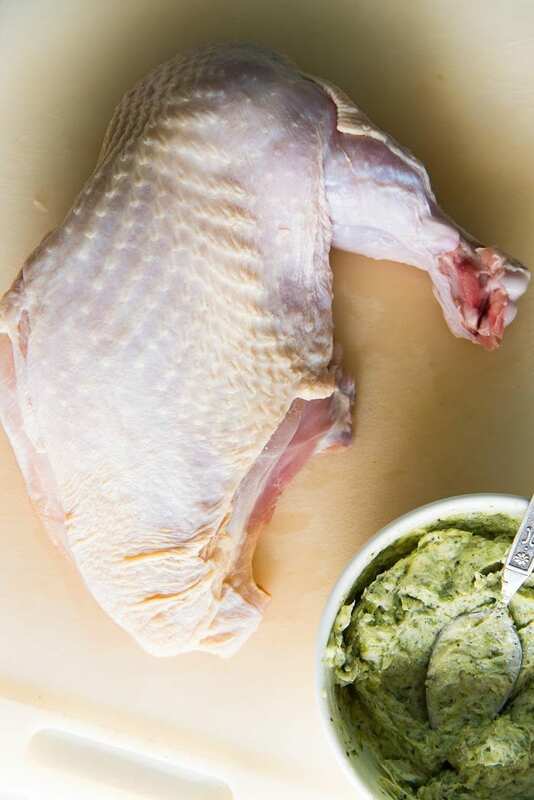 A skin-on boneless turkey breast with the drumette (still called a Frenched breast cut). A skin-on boneless turkey breast without the drumette. Turkey crown – i.e. both turkey breasts, skin-on and bone-in (may take longer to cook). Skin-on, boneless turkey breast roll up (prepared cuts you can buy from the supermarket). 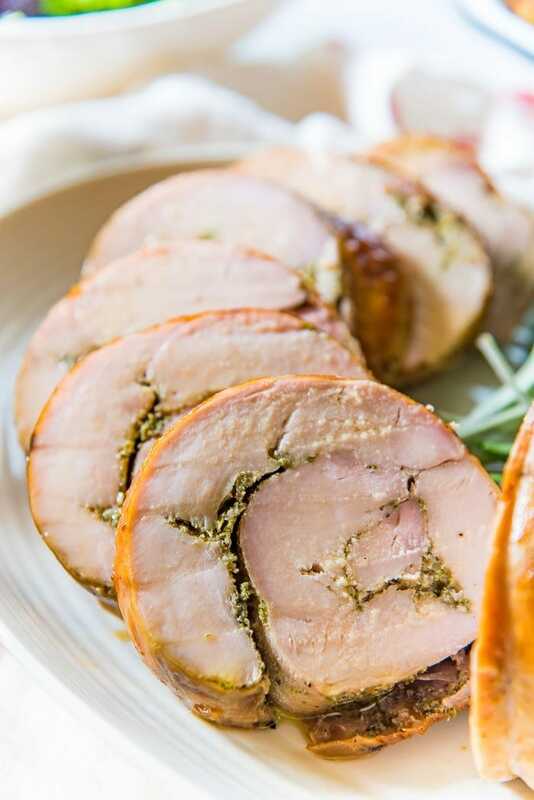 Skin-on, boneless turkey breast roulade. Here are some more handy tips to make sure you get PERFECT results with this Slow Cooker Turkey Breast, every time. Since turkey breasts can vary in size, it’s important to go by internal temperature to make sure your turkey breast is perfectly cooked and food-safe. The slow cooker turkey breast I’m showing in this post was on the small-ish side, about 3 lbs. It’s always a good idea to keep the turkey breast elevated from the bottom of the pan. It prevents the bottom from getting soggy, PLUS you get A LOT of pan drippings left over, which is perfect to make gravy! For a slow cooker – I like to use either onion halves, OR halved garlic heads placed on the bottom of the pan, with the turkey breast placed on top of them. Covering the turkey breast with foil while cooking, also prevents the turkey breast from overcooking or drying out. This way you don’t have to keep basting the turkey breast while it’s cooking either. Have I mentioned how important it is to use a meat thermometer is for this? 🙂 These are quite inexpensive, so it makes perfect sense to have one for guaranteed results. My temperature probe is the most utilized kitchen tool next to my mixing spoons and pots. It’s such a handy tool to have in your kitchen and I very highly recommend it! Caramelize the skin under the grill/broiler. 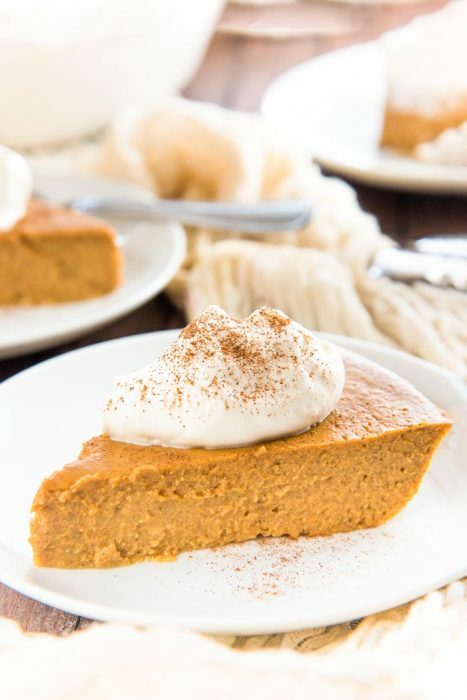 Since the slow cooker doesn’t allow for the skin to caramelize as it cooks, you definitely will have to use the broiler setting in your oven to get that delicious caramelized crust on the surface. It only takes a few minutes, and makes such a big difference! I like to let the slow cooked turkey breast cool down before broiling the skin. This is because when the turkey breast has cooled down sufficiently, caramelizing the skin under the broiler won’t dry out the meat on the inside. So you still have JUICY meat, with that delicious caramelized skin on top. This slow cooker turkey breast is incredibly flavorful and juicy, and is a great small dish alternative to a whole turkey for your Thanksgiving or Christmas dinner. You also get a lot of pan drippings from this roast, so you can easily make a very tasty, buttery turkey roast gravy, OR just use the pan drippings as a gravy by itself. 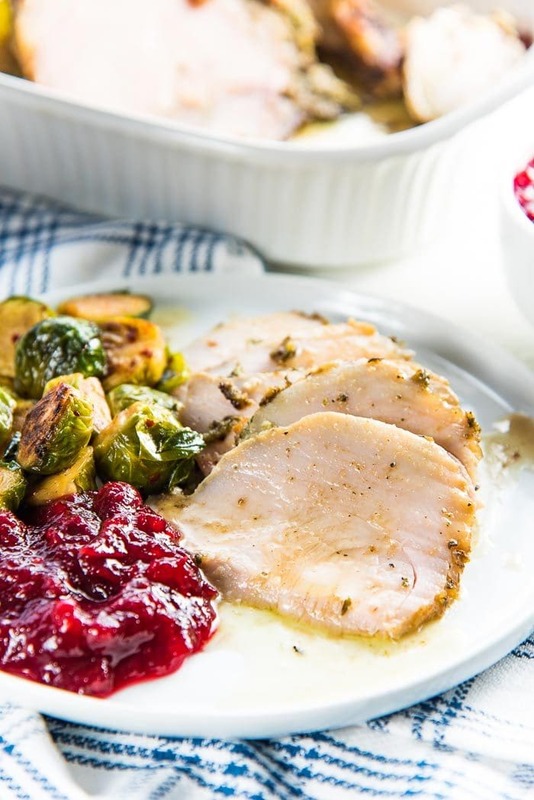 You can see in the pictures just how juicy this slow cooker turkey breast is! 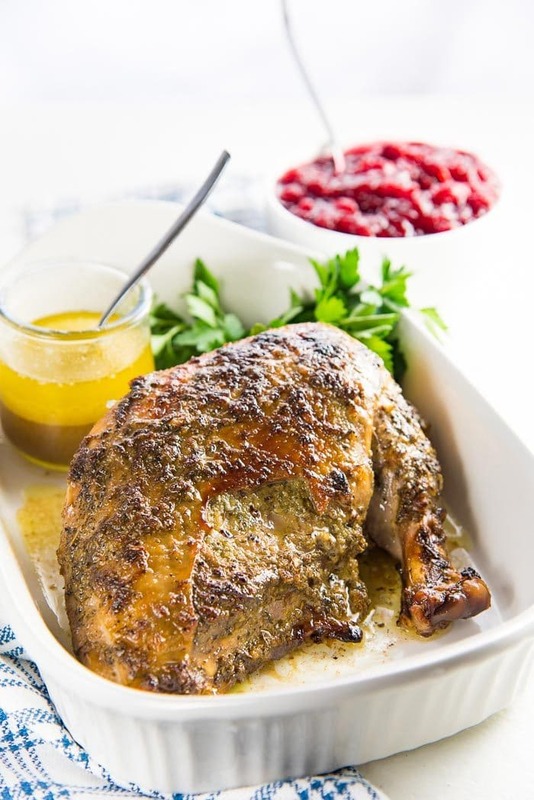 The sage garlic butter melts into the turkey roast, infusing it with all of its flavor, and the results is a riot of sweet, savory, buttery, garlicky flavors that complement the turkey meat beautifully. This slow cooker turkey breast can serve up to 4 people along with some side dishes, or 2 people very generously. 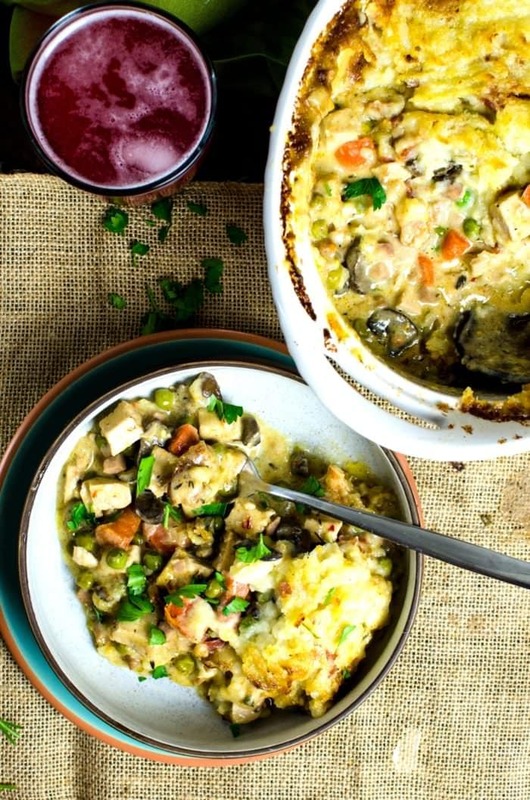 To be honest, I am not the biggest fan of cooking with slow cookers, but if there was ever a recipe to make me a slow cooker convert, this would be it! 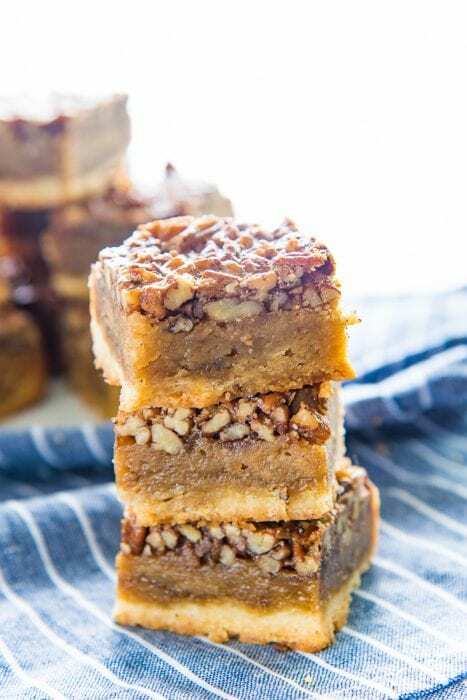 🙂 This recipe really is exceptional. 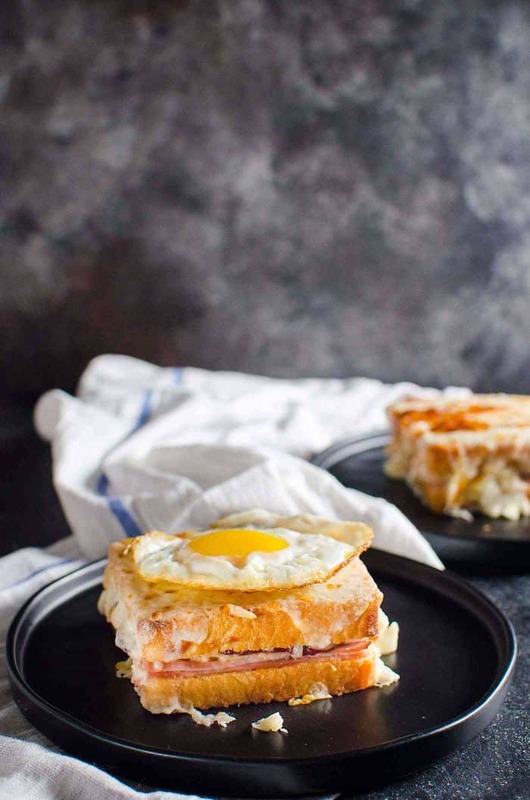 Even the leftovers are perfectly juicy and buttery, which you can use for all kinds of leftover turkey recipes like this turkey croque monsieur, leftover turkey savory bread pudding or this creamy turkey shepherd’s pot pie. 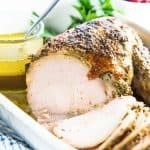 If you liked this slow cooker turkey breast (sage garlic butter turkey breast) recipe, don’t forget to subscribe for new (and free) recipes by entering your email address on the side bar (and get all these recipes delivered straight to your inbox), so you don’t miss out on a thing. You can find me on FACEBOOK, TWITTER, INSTAGRAM, PINTEREST, YOU TUBE and GOOGLE-PLUS too. Slow Cooker – I don’t own a separate slow cooker, but you can use your slow cooker for this recipe. If you would like one, then you can get a standalone slow cooker like this. However, I prefer using multi cookers. I have always loved multi cookers that have the slow cooking function. Like this INSTANT POT. I would recommend getting an instant pot that allows you to pressure cook, slow cook and more! Cooking thermometer – I have two types. A probe that I can keep IN THE MEAT while it cooks, and an instant read thermapen. I use them interchangeably. This thermopro thermometer is affordable and very versatile, with a timer as well as a temperature alarm as well. I have two and use them all the time. Spice Grinder – I own two spice grinder. One to grind my spices to make dry Curry powder, and another to make spice pastes, with wet ingredients. For this recipe, I used the grinder that I use to make pastes. This grinder can be used for dry spices too! Mortar and Pestle – A small mortar and pestle is great to crush individual spices. I own a large mortar and pestle and a small one, and use the small one far more often than the large one. 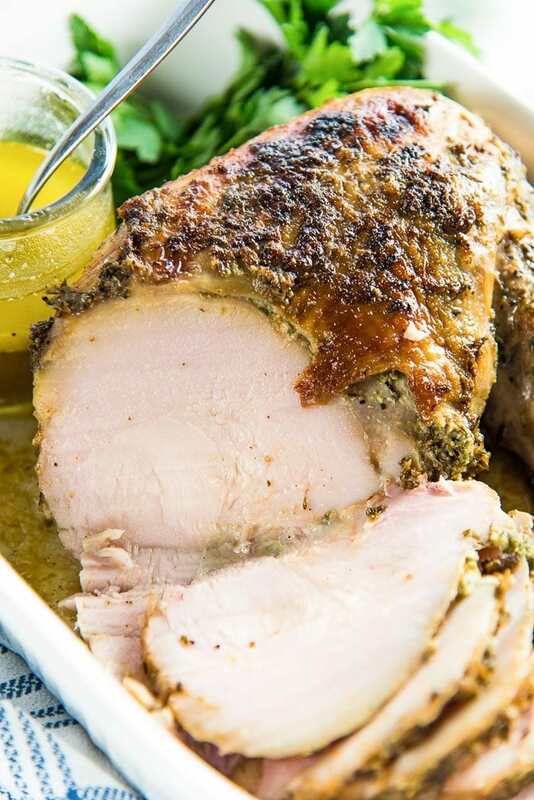 Guaranteed juicy, tender, succulent and flavorful results – this Slow Cooker Turkey Breast Roast is easy, and is a great small dish alternative to a whole turkey for Thanksgiving. Recipe serves 2 people generously, or 3 - 4 people with side dishes. Pat dry the turkey breast, and then using your fingers - loosen the skin on the turkey breast without detaching it (so that it's just loose enough to sprinkle salt and rub butter under the skin). Sprinkle salt under the skin, making sure to cover the whole turkey breast. Keep the turkey breast in an airtight container (or wrapped with plastic wrap on a plate), in the fridge for up to 2 days (or at least overnight) to marinate. 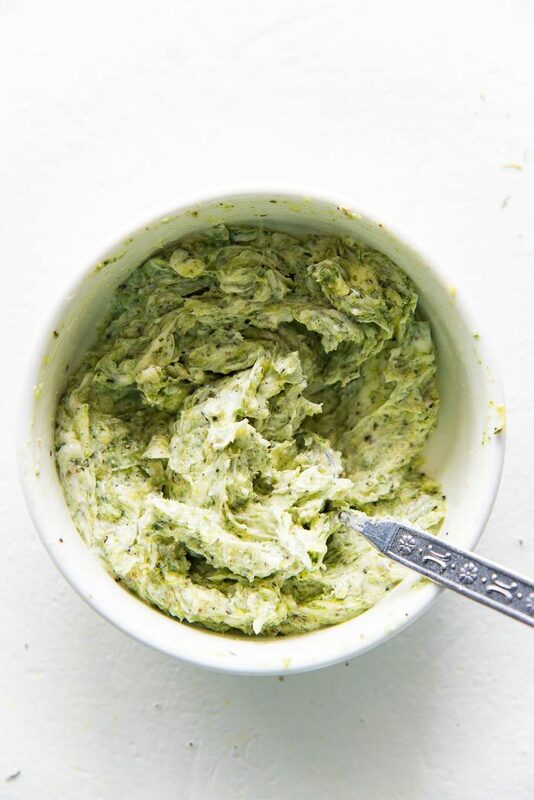 Place all the ingredients (except for the butter), in a food processor, and process to form a spice paste. Alternatively, you can finely chop each ingredient individually, and also use cracked black pepper instead. OR you can also use a mortar and pestle to make the paste. Place the spice mix in a bowl with the softened butter, and mix to combine. Remove the seasoned/marinated turkey breast from the fridge and pat dry with paper towels. 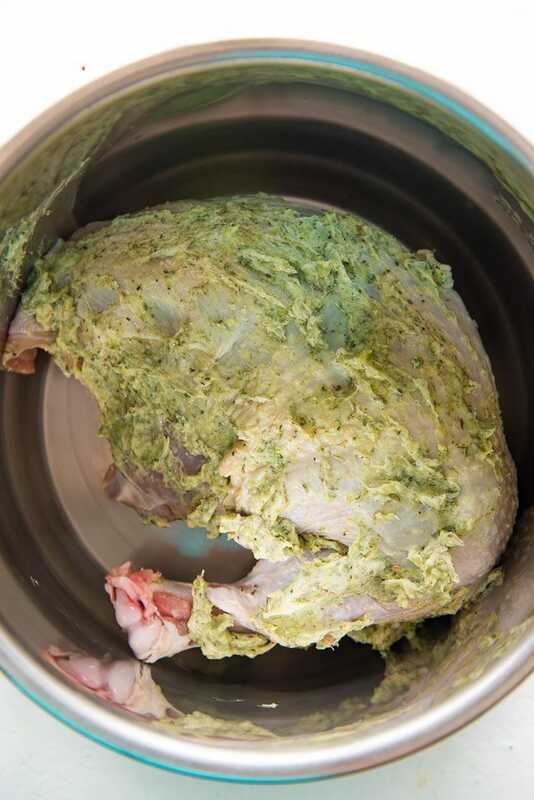 Rub the sage garlic butter paste all over the turkey breast. Make sure to be generous with the butter under the skin as well. Allow the turkey to come to room temperature, about 30 - 40 minutes (depends on the size of the turkey breast). Place the onion halves on the bottom of your slow cooker, cut sides down. Place the garlic butter rubbed turkey breast on top of the onion halves, so that it's elevated from the bottom of the pan. I use the slow cooker function in my Instant Pot, so it looks different from other slow cookers. Close the slow cooker, and set it to LOW. Cook for about 5 - 7 hours, covered. Use the meat thermometer to check the internal temperature, to make sure you don’t exceed 160°F - 162°F (it takes me about 5.5 hours for this cut of turkey). Remove the turkey breast from the slow cooker when ready, and keep it on a plate. Cover with foil and allow to rest for at least 30 minutes. Remove the onions from the pot, and strain the pan drippings into a small bowl. 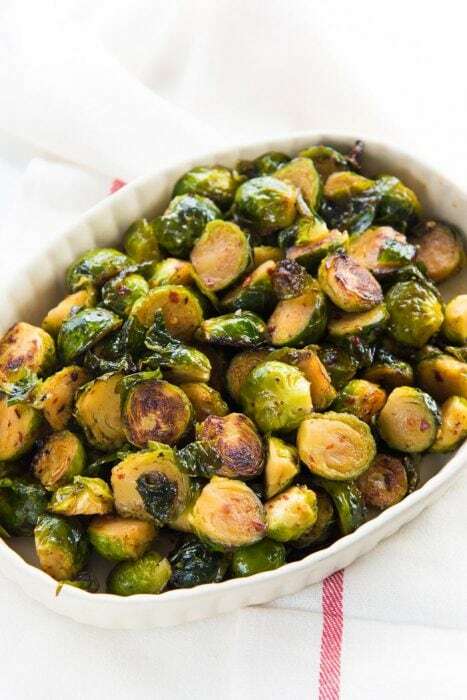 Preheat the broiler in your oven. Place the slow cooked turkey breast on the broiler pan, and brush the surface of the turkey roast with some of the pan drippings, OR a little extra butter. Broil for a few minutes until the skin caramelizes. Keep the broiler door open and keep an eye on the roast to make sure the skin won't burn. Serve, with some of the pan drippings (or gravy), and other side dishes. If you prefer using a different spice mix, or prefer not to use butter, then mix the spice mix of your choice with about 4 tbsp of oil, and use instead. Also add about 1/4 cup of stock to the bottom of your slow cooker pan, to make sure there's plenty of moisture as the turkey breast cooks. This looks so delicious and juicy!! Pinning! 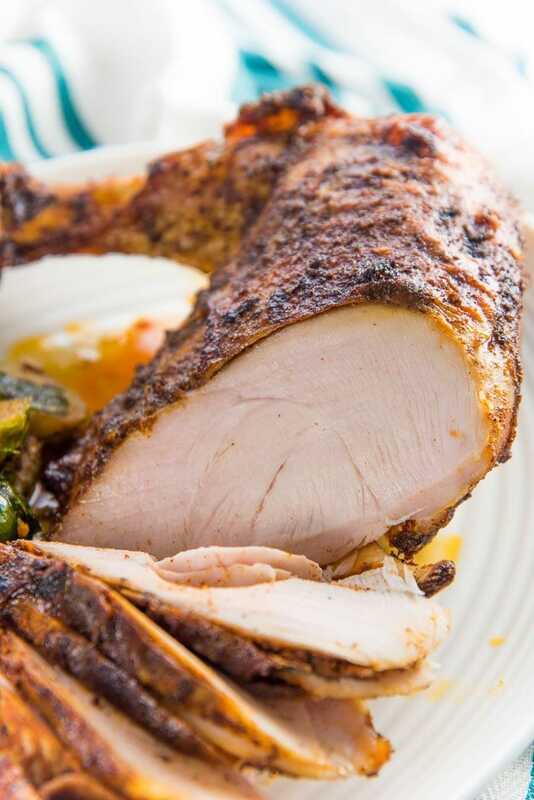 This is an almost effortless method to cook a mouthwateringly delicious turkey breast!